Today I am very excited to welcome author Debbie Behan to The Cover Contessa! Debbie has graciously agreed to answer some of my most pressing questions for all authors! 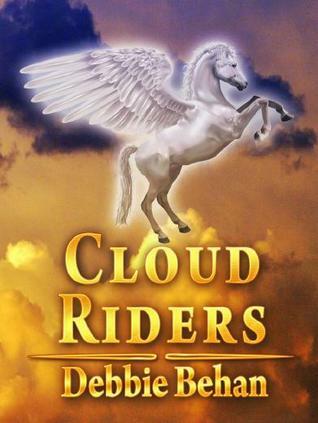 Debbie's book Cloud Riders is a fantastical Greek mythology romance! Debbie was born in Tallangatta, Australia in October 1957. In 1969, Debbie's father opened a curtain business in Wodonga so along with her mother, four sisters and one brother, they moved and attended Wodonga High School. Later Debbie was to find that over the next 30 years she would move many times, travelling throughout Western Australia, back to Victoria, up to New South Wales and lastly to Queensland where she still resides. 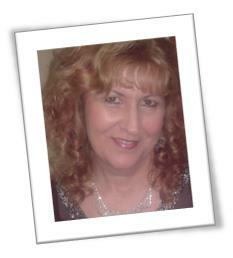 During her working life Debbie traveled to many interesting destinations, meeting many colourful personalities. This later inspired her to write fantasy stories that paid tribute to all those characters she and her beautiful daughter, Jody had to leave behind. When Debbie is not writing, she dances Latin and Ballroom with her adorable husband Shaun, or you may see her chilling out with a fishing rod. Her favourite animal is a dog and her Akita, Benson she believes is true canine gentleman. Even the way he eats is far from doggy gulping and his mannerisms are old worldly and kind. And now, let's hear what Debbie has to say in answer to my questions! Take it away! After 30 years of working in the food industry my health started to suffer so took some time off work. Hubby took me to see Twilight and then brought me the four novels to read. Not an avid reader I thought he had wasted his money. Not so, bored one day I opened the first and in two weeks had read them all. When hubby came home I told him I was going to write a book while deciding what career path to take next. It looked easy enough and even though my forte was Food Safe manuals for supermarket chains, I was betting I could waffle my way through a hundred or so pages. J lol. That was all the push I needed, him thinking I was funny and would never do it, an easy to read novel that showed me how and time on my hands. My first (unpublished as yet) novel Soulcasters of (110,000 words) took two weeks to write and the two months later, and another two novels later, finished the story. The next came Cloud Riders (Published 2012), the series of five is called ‘Lord of the Planets.’ And took another 12 months to write. Since then I have written a children’s book, a action packed thriller and half way through….you guessed it, a vampire book. Had to do at least one considering I’ve read over 70 vampire novels since Twilight. The plot has to be unusual, or a different twist, something you can relate to, the what if’s! And the characters. If you can’t become the character when writing, then replace it with one you can and watch the story come alive. A picture, scenery and research. The characters I find in shop windows (e.g. the image may be from a statue), the temperament, passion or mood may be from my past adventures. Soulcasters was from looking up at the moon one night on my way home from a friends place. Cloud Riders was from researching clouds, that took me to the stars and there I learned of constellations and mythology. I wondered if I was this interested in the subject would others if I made it fun. I also looked at what the mythical creatures and immortals would be like if they were alive today 2012. What would it be like. Here, in the sky, the ‘Lord of the Planet series’ was created. That I would enjoy something so different to the world I came from. Hard working, serious, dedicated and with money to live the high life. To being a struggling author, little money but happiness beyond what I ever dared to dream for myself. Just over 10 novels and 1 kids book. My favourite and yet to be released is Soulcasters. It was my first and put my heart and soul into a story so bazaar and yet heart-warmingly family orientated. Now I have learned so much through writers groups and editors, it will need a total re-write, but watch my website, it could be next to be worked on. Not in that sense. The characters write themselves, tell the story and I become each of them when it is their turn to speak. I write what they want to say. However in saying that, there are still words, comments, phrases and a mood from my past that helps them live within the pages. Most definitely. When writing, I like to be in my recliner with laptop and coffee or tea by my side. It has to be quiet as even the sound of a bird or a dog barking can bring me out of the story. Although mostly engrossed, thirst or hunger are about the only things that get me up and about. When making changes, re-writes etc, I go up to Mc Café and get spoilt by our local café barista and staff. I edited ‘Cloud Riders’ at Mc Café. I sent Soulcasters off to the UK to a literary agent that promised the world and all they did was keep asking for money. Trust me being a newby, anyway that was a journey that taught me a lot. 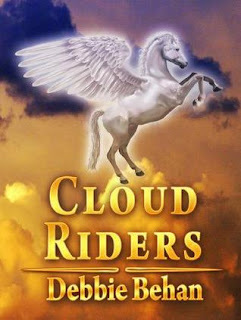 I did send ‘Cloud Riders’ to a couple of publishers but they said they didn’t take that genre so decided no to publish. However, Cloud Riders had become famous in my circle of close friends who read it and in the end we decided to independently publish. This was at a high cost and they did very little (well nothing) to advertise my novel. Since then I have become a publisher myself and Cloud Riders, along with the second novel to be released early 2013, will have new covers and will be published under my new company name. My mother in law is an ex librarian and I can tell you, I was very nervous given her my first novel to read. She has been an avid reader of all my books now and nags continually for the next one. (Love her). My daughter (aged late 30’s) favourite was Cloud Riders, hence why we published that novel first. My sister and cousins were ecstatic and were the first to purchase a published copy. My hubby liked it so much when I finally forced him to read it (not a reader of fantasy) that he made up a trailer for it available on YouTube. Please, join writers groups. Find groups that critique, it will give you substance to your work. Groups that challenge your mind. Make friends with them all. Even writing challenges not in your genre will inspire you to push the boundaries. I would never have believed I would write a children’s book, but did. I wanted to be a designer, architect, artist or and actress. Funny because I was all that, and yet not ever qualified as such. I designed food areas, drew up plans to take to the planning departments. I displayed food as an artist would paint and now I am the actress as I write my stories. I never realised that myself until that question was just asked. Twilight I would have to say as it inspired me to write my first novel. PC Cast with her goddess novels would have to be my favourites as she is into mythology as I am, although with a totally different spin on it. I would have to say the most important tips I have is to give your work out to be read and take on board comments. Iron them out early to prevent further comments later by someone else that feels the same. Don’t be scared that someone may pinch an idea, no one will write it like you anyway. Stay true to your style but open your heart and let others help you with your baby. Last of all, never settle for one edit. It is the most costly of all if you are going to independently publish, but so worth it to hold your final published copy, the baby you have nurtured for months, maybe years, that you are now so proud. Almost finished a self edit and re-write. The second book of the ‘Lord of the Planets’ series. ‘Merciful Me’ is a few pages off being completed. The next step is to send it off to a professional editor, which will be in the next week or so. New covers are currently being designed for ‘Cloud Riders’ and ‘Merciful Me’. Matching to enhance the series name, ‘Lord of the Plants’. I have just started up a group on fb called BC-WAGS (Brisbane Creative – All Genres) and this months challenge catch phrase is ‘Spring Clean’, which I am working on a flash piece to put up.